Lokomotiv Kuban Krasnodar finished the Eurocup regular season defeated by edging Pinar Karsiyaka Izmir 85-93 in Group F on the road on Wednesday. Lokomotiv was first in this group with a 10-0 record. Karsiyaka and PAOK Thessaloniki tied at 6-4 right behind Lokomotiv but due to its tie-break disadvantage against the Greek powerhouse, Karsiyaka was third and PAOK second. Malcolm Delaney led the winners with 24 points. Derrick Brown added 21, Eugeny Voronov had 14, Maxim Kolyushkin got 11 while Krunoslav Simon contributed 10 for Lokomotiv. D.J. Strawberry led Karsiyaka with 21 points. Juan Palacios added 14, Baris Hersek had 12 while Jon Diebler, Mutlu Demir and Bobby Dixon each got 10 for the hosts. Lokomotiv led 11-23 early and boosted it to 36-50 late in the first half. Karsiyaka got within 45-54 at the break and even closer, 58-62, late in the third quarter but Delaney and Brown stepped up right when it mattered, allowing Lokomotiv to keep a safe margin until the final buzzer. Brown, Delaney and Richard Hendrix shined early to give Lokomotiv a 3-9 lead. Dixon and Voronov traded triples and a three-point play by Brown boosted the guests' lead to 6-15. 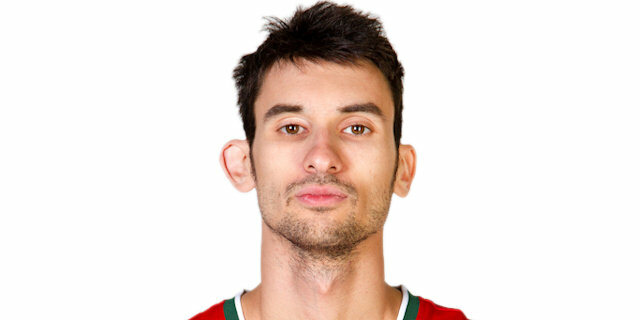 Voronov insisted from downtown and Delaney followed a layup with a triple for an 11-23 Lokomotiv margin. Strawberry and Palacios stepped up for Karsiyaka but Brown and Delaney kept the guests way ahead, 20-34. Strawberry and Diebler brought Karsiyaka within 25-34 after 10 minutes. Strawberry, Simon and Kolyushkin joined the three-point shootout and Palacios hit a jumper for a 30-40 Karsiyaka deficit. Strawberry hit another triple but he didn't find much help around. Meanwhile, Simon gave Lokomotiv a 14-point margin, 36-50. Demir and Strawberry got Karsiyaka closer, 45-52, but free throws by Delaney fixed the halftime score at 45-54. Lokomotiv found a go-to guy in Brown, who took over after the break for a 47-62 margin. Diebler sank a triple, igniting an 11-0 run in which Baris Hersek also hit one from beyond the arc for a 58-62 Karsiyaka deficit. Delaney, Brown and Kolyushkin answered from downtown to give Lokomotiv plenty of fresh air at 64-74. Palacios and Dixon got Karsiyaka a bit closer, 70-79, after 30 minutes. A layup by Voronov and a three-pointer by Delaney kept the guests out of trouble, 70-84, early in the fourth quarter and a layup by Kurbanov, 73-89, sealed the outcome midway through the fourth quarter. Demir, Dixon and Inanc Koc brought Karsiyaka within 85-91 but it was already too little, too late for the hosts. "It's great to finish the group stage of the Eurocup on a positive note. Today we can be satisfied with our attack, but on defense we did not play very good. Still our attacking actions helped us to compensate for the shortcomings. Some three-point shots early in the game gave us confidence. Most importantly, we have created quality opportunities for shots, which is how we had such a great percentage."